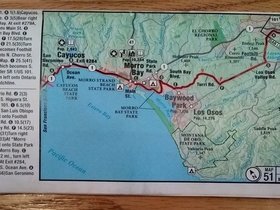 Week-long bike tour from San Francisco (well, Salinas) to Los Angeles along Highway 1, over 350 miles. Glorious! Then Amtrak back.